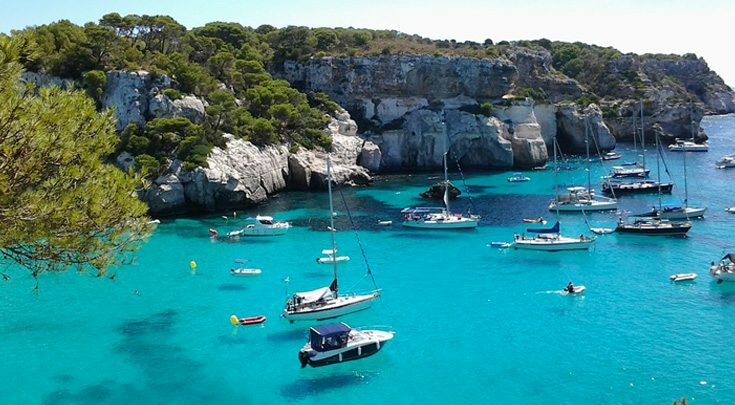 Lying in blissful sunshine off the northeast coast of Spain are the Balearic Islands of Mallorca, Ibiza, Menorca and Formentara, where you can enjoy an extended summer. This is the perfect place to lounge on the beach by day and party into the small hours of the morning. This region’s rich multicultural architecture history fascinates photographers. For the culinary enthusiast, we have three words:Meat.Cheese.Wine. Home to savory Catalan cuisine traditions, the rich and varied seafood bounty includes lobster, while local pork and Sopressata sausage are also popular. Artisinal cheeses and pastries paired with sparkling Cava wine are a treat not to be missed. Dress light and casual, adding layers in the breezy evenings, and bring a change of sturdy footwear for hiking. Everywhere, the sparkling sea beckons. Palma to Cabrera Island – From the cosmopolitan capital of Palma, cruise across to the nature reserve island of Cabrera. Spend a quiet night moored in the national park’s sheltered bay. 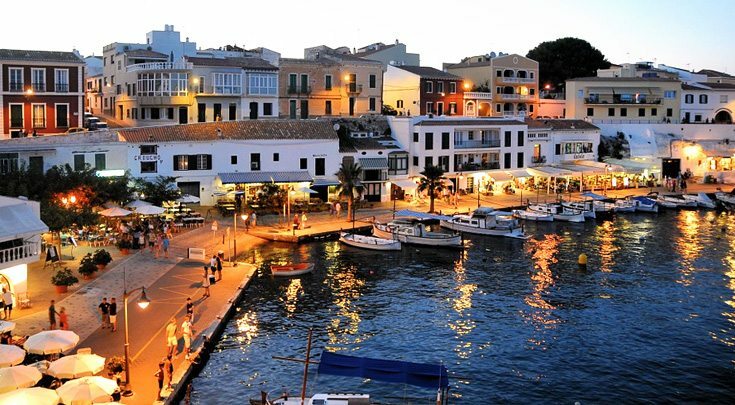 Cabrera Island to Ibiza Town, Ibiza – Stroll through the cobbled streets of Ibiza Old Town before sunset drinks in the harbor. Ibiza is renowned for its vibrant nightlife. It can be enjoyed in either the many clubs or, if you choose, the sophisticated bars of Old Town. 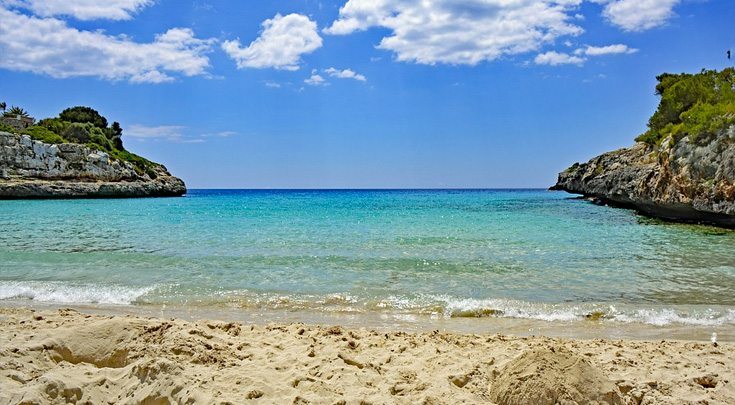 Ibiza Town to Formentera Island – Cruise to the off-lying island of Formentera – a beach lover’s paradise with white sands and turquoise waters. Or a therapeutic mud bath can be enjoyed in the natural hot spring on the adjacent island of Espalmador. Formentera Island to Isla Verda – Cruise along the southern coastline of Ibiza and anchor for lunch under the rock island of Verda. After lunch, snorkel around the impressive rock formation. Then go ashore for paella at Es Boldado. 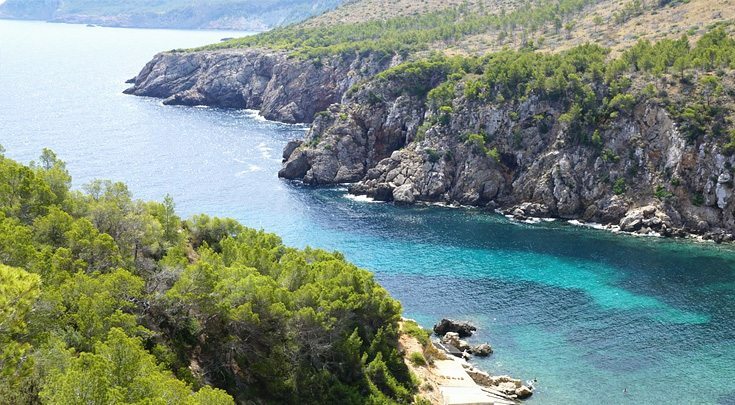 Isla Verda to Andratx, Mallorca – Depart Ibiza early morning and cruise back across to Mallorca for a relaxing day of water sports anchored beneath the towering cliff of Cabo de la Mola. Or choose to explore the old town of Andraitx. Originally built as a pirate defense it is a good place to get photographs of this ancient town. 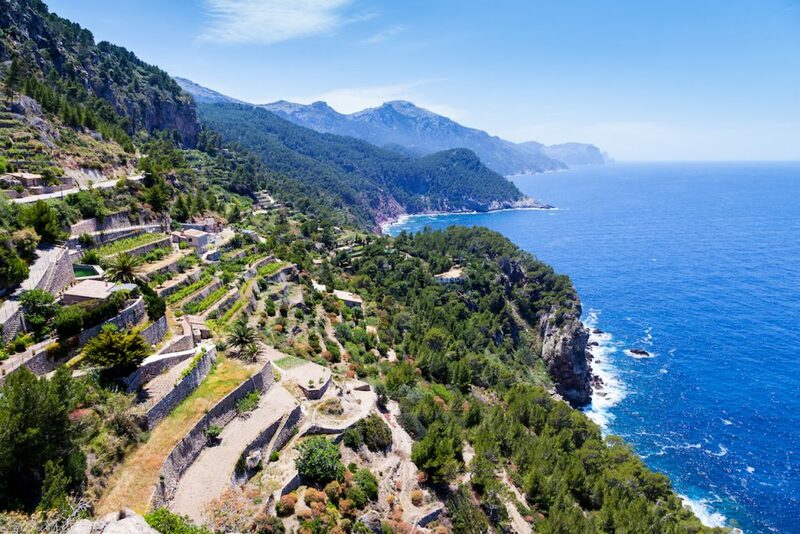 Andratx to Puerto Soller – After anchoring in the circular bay of Puerto Soller, head inland to the mountain town of Soller. Dominated by a 16th century church, the cobbled streets are bustling with cafes and restaurants, including the famous La Residencia. Puerto Soller to Pollensa – The peaceful coves around Formentor and Pollensa are perfect for a quiet anchorage. Spend the day enjoying water sports or go ashore for a round of golf. A stroll along the Pine Walk to view yachts at anchor or visit cafes or restaurants is an enjoyable way to spend the evening. 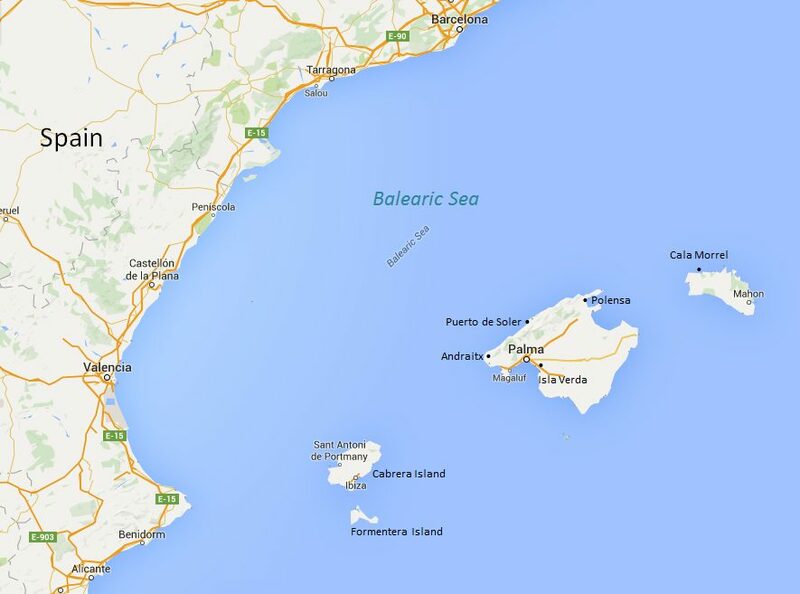 Pollensa to Cala Morell, Menorca – Sail across to the quieter island of Menorca. 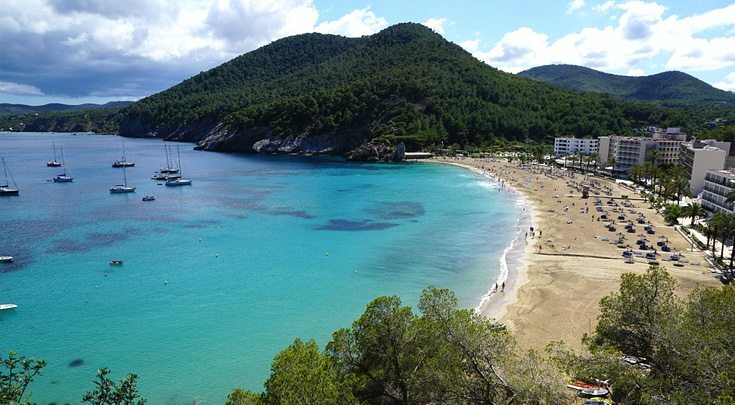 Spend the day relaxing and swimming in the clear waters around the white sandy beaches of Cala Algayarens and Cala Morell. 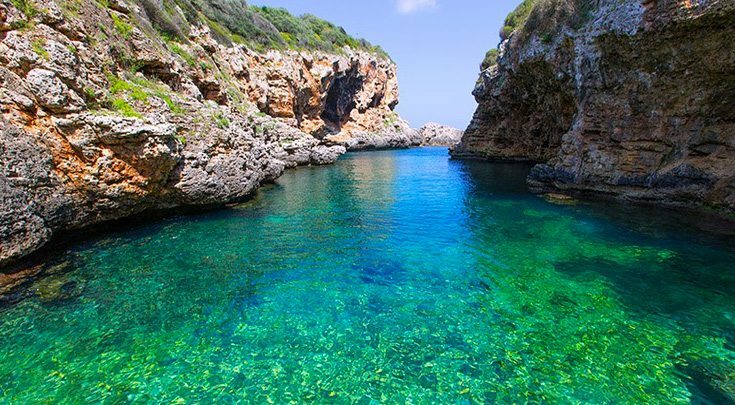 Cala Morell to Palma, Mallorca – Cruise overnight to Mallorca’s beautiful marina. Spend the morning exploring the bustling port at Puerto Portals. 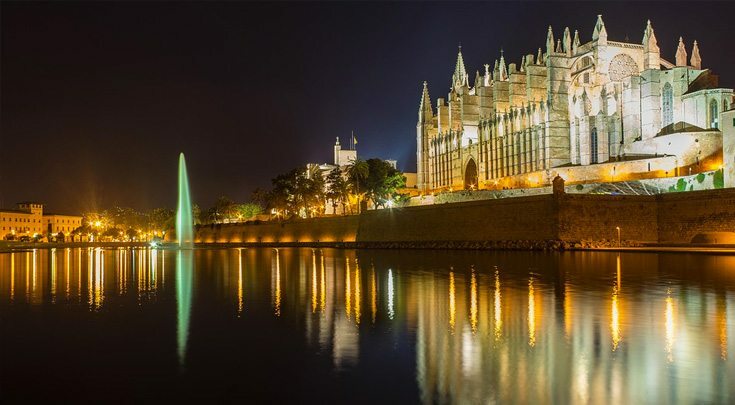 Later, cruise around the headland to Palma’s gothic Cathedral and explore the Old Town, with its charming narrow streets and stately patios.